Washington – While President Donald Trump promised to “drain the swamp,” the lobbying business is thriving, with Connecticut-based companies, non-profits, cities and universities spending a total of about $50 million to influence Congress and the new administration last year. Connecticut-based entities spent these millions of dollars lobbying on a diverse range of issues – from making sure that they benefitted from, or at least did not get hurt by, a massive federal tax overhaul to making sure a historic riverboat remained tethered to a dock in Chattanooga, Tenn.
Washington has continued to flourish. According to the Center for Responsive Politics, nearly $3.4 billion was spent on lobbying in Washington in 2017, more than any other year since 2010. Nationally, the two groups that spent the most were the U.S. Chamber of Commerce — which represents the interest of many Connecticut businesses in Washington — and the National Association of Realtors. The chamber’s spending totaled close to $104 million, while the Realtors spent almost $65 million. In Connecticut, the top spenders on Washington lobbying were Charter Communications, which spent nearly $9.6 million, Travelers ($4 million) and Aetna ($3.8 million). Connecticut’s largest companies hired lobbyists to look out for them as the Trump administration rolled back Obama-era net neutrality rules – one of the concerns of Charter Communication – the fate of the Affordable Care Act – of interest to the state’s pharmaceuticals, hospitals and health insurers – and of course, the massive federal tax overhaul. Some of them, including Aetna and pharmaceutical giant Boehringer Ingelheim, spent hundreds of thousands of dollars on in-house lobbying offices as well as hiring outside help. According to Senate lobbying disclosure reports, one of the things Ridgefield-based Boehringer Ingelheim’s in-house lobbyists worked on was getting the Senate to declare Nov. 9, 2017, “National Diabetes-Heart Connection Awareness Day.” Boehringer Ingelheim’s Trajenta is one of the leading diabetes drugs in the nation. 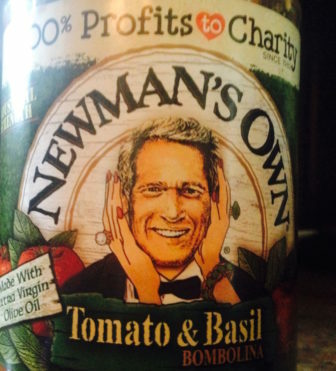 Westport-based Newman’s Own Foundation spent more than $620,000 last year successfully lobbying Congress for an exemption from a huge tax surcharge that would have badly hurt its main business — selling a variety of foods and using all profits for charitable purposes. Others spent less, but still think it’s important to have representation in Washington. Guilford-based American Cruise Lines spent $120,000 last year successfully lobbying Congress not to restore the famous Delta Queen riverboat’s right to navigate the Mississippi River. Moored in Chattanooga, Tenn., the Delta Queen is a National Historic Landmark that once ferried presidents up and down the Mississippi and its tributaries. At nearly 100 years old, it is now a floating hotel, but prospective investors hope the stately vessel will take to the water again. 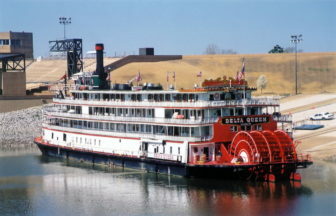 American Cruise Lines, which has riverboats of its own, hired Blank Rome Government Relations to try to make sure the Delta Queen stays tied to a dock by blocking a bill that would allow ships with berths and staterooms that were built before a maritime safety law was implemented in the 1960s to be exempt from a federal requirement they be constructed from fire-retardant materials. Because it is not constructed from fire-retardant materials, the Delta Queen was forced to dock in Chattanooga in 2008 and become a hotel. Facing Addiction, a national advocacy group based in Danbury, spent $60,000 last year hiring Capitol Decisions to advocate for a number of mental health and addiction services bills. Greg Williams, Facing Addiction executive vice president, said the group’s Washington lobbyist helped with a grassroots effort to convince senators to approve the Comprehensive Addiction Recovery Act, a bill that passed the Senate in 2016, by opening doors to key lawmakers. “You need a lobbyist to schedule meetings with key lawmakers,” Williams said. Facing Addiction’s Washington lobbyist, Carol McDaid, is in long-term recovery, Williams said. “She’s personally impacted and an individual who lives it every day,” he said. Frank McCarthy of McCarthy Advanced Consulting represents the American Radio Relay League, headquartered in Newington. Part of his job is to make sure members of Congress know about the importance of amateur radio operators, how they helped establish communications after Hurricane Maria hit Puerto Rico last summer by volunteering to set up radio broadcasts to and from the island. He said he has bipartisan support for an amateur radio priority – a bill sponsored by Sens. Richard Blumenthal, D-Conn., and Roger Wicker, R-Miss., in the Senate and Rep. Joe Courtney, D-2nd District, and Adam Kinzinger, R-Ill, in the U.S House. The legislation would give the Federal Communications Commission authority to push back against homeowner covenants or other local private land-use restrictions that prohibit the construction of amateur radio towers. McCarthy said homeowner association restrictions have left amateur radio buffs “dying a death of 1,000 cuts,” since the late 1990s, when similar legislation was first introduced. But there’s been recent progress—the House passed the radio tower bill last year. To McCarthy, Washington lobbyists are focusing more on Congress since Trump became president because “there’s a lot of uncertainty” about the White House’s positions on issues and “staffing issues” at the federal agencies as many top jobs, as well as rank-and-file positions, remain unfilled. “But it’s not like Capitol Hill is the most functional place, either,” McCarthy added. To others, there is opportunity in the Trump administration’s zeal to repeal Obama-era regulations. That has helped Charter Communications, the Stamford-based internet provider giant that successfully lobbied for repeal of the Obama-era net neutrality rules. American Vaping, a national advocacy group registered in Stratford, is lobbying to amend an Obama-era “deeming rule” that subjects electronic cigarettes to regulation as “tobacco products” under federal law. The deeming rule requires new products that did not exist on or before Feb. 15, 2007, to undergo a pre-market review process the vaping industry says is too burdensome. Gregory Conley, the in-house lobbyist for American Vaping, said he doesn’t try to directly influence members of Congress or the Trump administration, but prods others to do so instead. “We focus our efforts on improving our image with the general public,” he said. That’s done through editorials, speeches at key conferences and grassroots petitions and letter-writing campaigns, often effective means of persuasion. Hartford, New Haven and Stamford also hired Washington lobbyists last year, mostly to look out for federal grant opportunities. New Haven also paid lobbying firm Treemont Public Advisers $70,000 last year to make sure the Federal Railroad Administration’s plan to upgrade the Northeast Corridor, an ambitious proposal known as NEC Future, includes a route through the city. New Haven also hired a second lobbying firm, Williams and Jensen, paying it $80,000 last year.